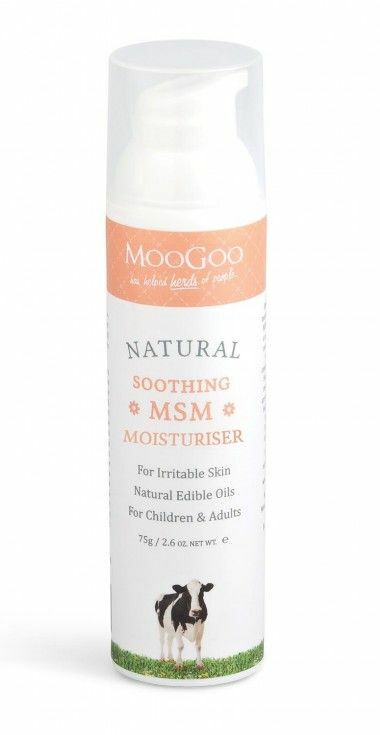 This cream is made using the moisturising base of our Full Cream with the addition 10% MSM (Organic Sulfur) and the removal of Milk Protein. This is the maximum amount of MSM we could add to the cream. Just mention MSM and watch the Naturopaths go nuts about its skin calming properties. The cream uses Sweet Almond Oil which is one of the best moisturising oils for irritated skin due to its essential fatty acid profile. The cream is also fully loaded with other natural skin healing ingredients. These include Allantoin (Comfrey Root Active), Vitamin E, Aloe Vera and Honey.